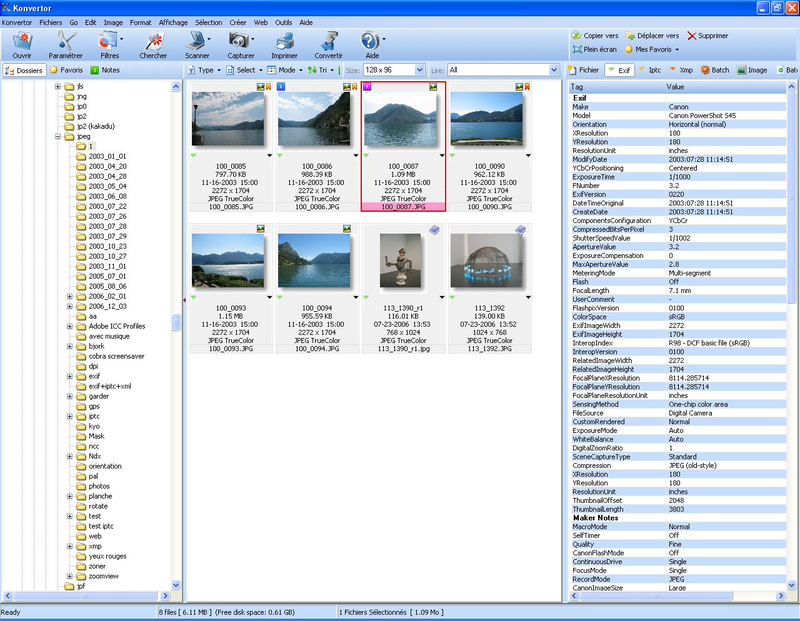 Konvertor is a very comprehensive media manager that allows you to view and convert between more than 3400 file types. At launch the program looks much like Explorer: there are your drives and folders on the left, and on the right are thumbnails of the current folder contents. But as you browse around, you'll see Konvertor is much better, because it gives you information on just about everything: images, text files, PDFs, Office documents and many more. Conversion is just a matter of right-clicking and choosing the Convert option, when again there are plenty of options. When we tried converting an AVI video, for instance, we were offered 42 possible output formats. And even better are the useful presets, which allow you to convert videos into formats suitable for various devices: iPods, iPhones, the BlackBerry, various smartphones, the Xbox, Zune and others. The program also includes extensive filters and editing options for your images. So it can tweak brightness, contrast and colours. reduce red-eye, rotate and crop photos, and apply special effects. And when it's done you can create HTML or PDF thumbnail galleries, print contact sheets, generate slideshows and panoramas, and more. Konvertor FM is packed with powerful file conversion, viewing and editing tools. WinXPSP3: 'Install.exe' (682Kb) does nothing. At all. Waste of time.